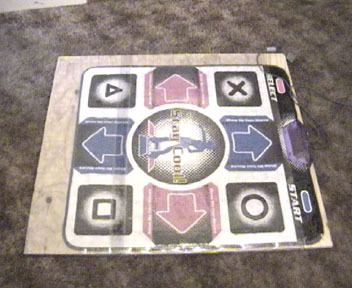 Lay your wooden board down and place the dance mat on top of your board. Use your packaging tape and tape along the edges of the mat so that half the tape is covering the mat and the other half of the tape is along the wooden board. (make sure you pull your pad out flat so that it's not all puffy in the middle after you tape it down) Do it around all four edges of the mat. Take the hardwood floor covering and lay it over the top of your mat with some of the covering extending past the width of the mat. 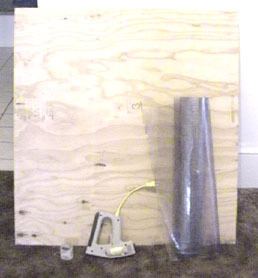 Now take your staple gun and staple down the hardwood floor covering to the side of the wooden board. Now cut the hardwood floor covering so that it is long enough to hang over the other side. 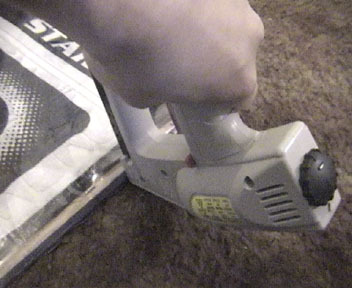 Now staple the other side down with your staple gun. (NOTE: DO NOT STAPLE THROUGH THE PAD. STAPLE THE COVERING DOWN TO THE WOOD). The staples should be about 2 inches apart. If you're getting the hardwood floor covering at Home Depot, it's not going to be wide enough to cover the entire mat. What you need to do is use another piece of hardwood floor covering and overlap a small section of the already stapled down covering and repeat steps 3 and 4. Then cut the excess covering off the bottom edge and staple the covering down on the bottom side of the wood. 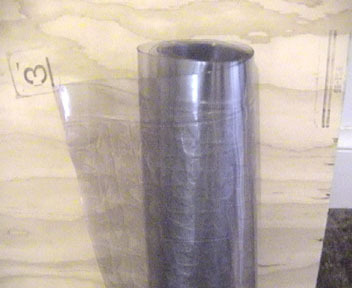 Now take your packaging tape and tape over the section of the hardwood floor covering that overlaps on the other piece. 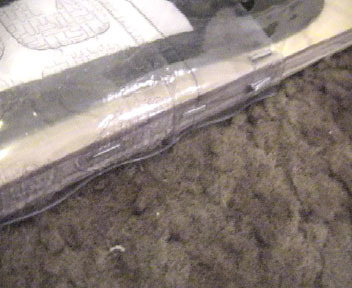 Just use one piece of tape and tape from one side to the other. This will keep your feet from getting caught on the lip where the two pieces overlap.